As part of Green Plumber training and commitment, one of the services we provide is an in home water audit. 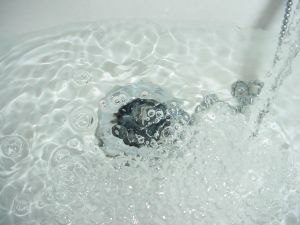 A household water audit is an assessment of how much water is currently being used, and how much water can be saved by making simple improvements. Our first task is to fully analyze your current water and sewer systems. We look for leaks and inefficiencies throughout the system, both inside and out. Next we report back to you with our findings. We may make recommendations on ways to reduce water loss, ways to conserve, or ways to improve the water usage within your home. Finally, we can help you implement any or all of our recommendations. We can help you choose the right products at the lowest costs, and ensure the oversee the entire process to ensure its done correctly. Schedule your Home Water Audit today.